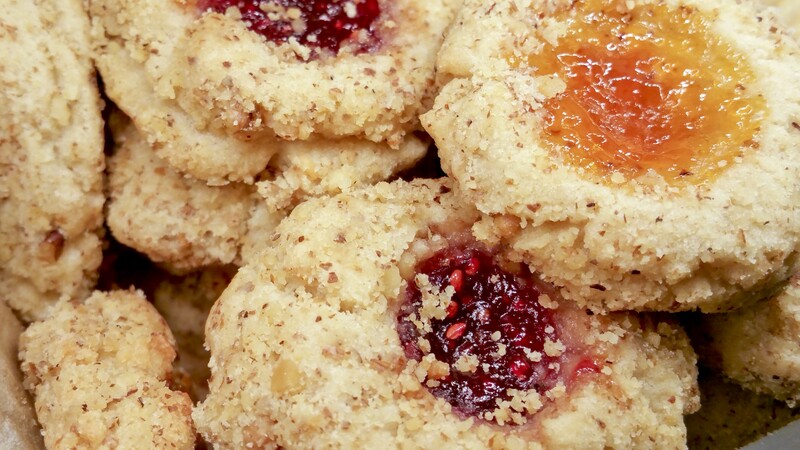 Originally from Allrecipes, these delicious cookies promise a great addition to any holiday party. They’re filled with raspberry jam and drizzled with enough glaze to make anyone’s mouth water. 2. In a medium bowl, cream together butter and white sugar until smooth. Mix in 1/2 teaspoon almond extract. Mix in flour until dough comes together. 3. Roll dough into 1 1/2 inch balls, and place on ungreased cookie sheets. 4. Make a small hole in the center of each ball, using your thumb and finger, and fill the hole with preserves. 5. Bake for 14 to 18 minutes in preheated oven, or until lightly browned. Let cool 1 minute on the cookie sheet. 6. In a medium bowl, mix together the confectioners’ sugar, 3/4 teaspoon almond extract, and milk until smooth. Drizzle lightly over warm cookies. This main course dish from RealSimple is surprisingly easy to make and looks beautiful on the dinner table. With a prep time of only 15 minutes, this delicious dish can be finished in under an hour. 1. Heat oven to 350°. Season the pork with the allspice and 1/2 teaspoon pepper and place on a rimmed baking sheet. 2. In a small bowl, combine the cherries, parsley, and mustard. Spread evenly over the pork. 3. Lay the bacon slices crosswise over the pork, overlapping them slightly and tucking the ends underneath. Roast for 45 minutes. 4. In a small bowl, combine the jelly and vinegar. 5. Brush over the bacon and continue roasting until an instant-read thermometer registers 150°; F, 10 to 15 minutes more. 6. Let rest at least 10 minutes before slicing. These caramelized onion tarts from RealSimple are easy, unique and full of flavor. If you’re looking for a memorable dish that’s equally delish, you’ve found it. 3. Add the onions and cook, stirring occasionally, until soft and golden brown, 12 to 15 minutes. 4. Stir in the apples, 1/2 teaspoon salt, and 1/4 teaspoon pepper and cook until just tender, 2 minutes. 5. Place each sheet of pastry on a parchment-lined baking sheet and prick all over with a fork. Spread with the crème fraîche, leaving a ½-inch border. 6. Top with the onion mixture and bake until the pastry is crisp and browned, 30 to 35 minutes. 7. Cut into pieces before serving. We’d love to hear your favorite meals! Let us know in the comments on Facebook.